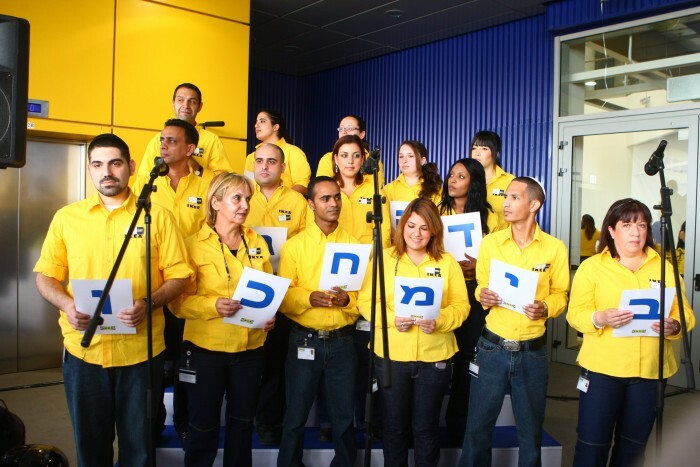 Guide Israeli division of the company IKEA announced the opening of the new branch, which is located at the crossroads Kiryat Ata, Near the city of Haifa. The date marked the opening of a branch in March 11. If you believe the analysts, then this year the branch with 1200 employees can serve about 5,4 million consumers. Introduced range of products is very large - more than 25 million items, as well as 14 designer collections. Construction of a new shopping center at a cost of amount 380 million shekels. The area of ​​the store is 27.000 square meters that includes 51 exposition room, restaurant 450 visitors and ample parking for cars 2000. 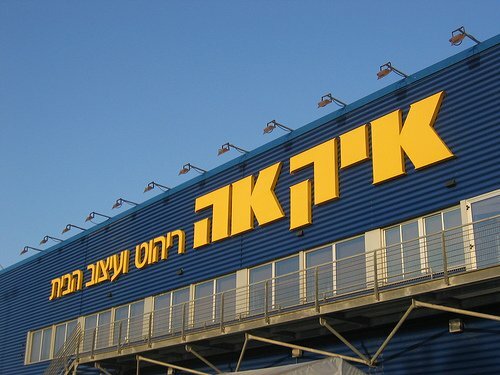 Besides the store in Israel already has two shopping centers IKEA: in Netanya (Rebuilt after a fire that occurred in the year 2011) and Rishon Lezion. The Rishon branch is truly amazing, it is recognized as the largest in the Middle East. Its total area is 34.000 sq.m., and the length of the shopping complex is as much as 2 kilometers! In its territory there is also a restaurant on 500 seats. Of course, for visitors of such a huge store provides ample parking for 1600 parking spaces, it allows you to easily accommodate all. In addition to the above advantages of the Rishon branch, it provides jobs for about 500 residents of the city of Rishon le-Zion, and also provides employment opportunities for those who wish from nearby cities. By good tradition, shopping centers IKEA care about the whole family. For example, in rishonskom shop equipped with a children's playroom, which can accommodate up to 36 children simultaneously; 2 room mother and child, intended for changing and feeding; comfortable cinema. 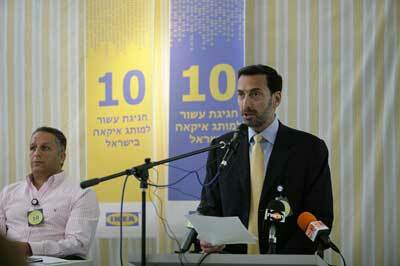 Recall that since the opening of the first branch of the company in Israel has been more than 10 years. Over this period, the consciousness and the ethics of commercial buyers have changed greatly. To date, almost all Israelis are familiar with the Swedish manufacturer of furniture, moreover, they are not afraid of the need for mandatory self-assembly. This is more than "pay back" the possibility of individual choice of furniture to your taste and the gauge housing.